Oolong tea is also known as wu-long. Wu means Black. Long means Dragon. So it is a Black Dragon tea. It is widely accepted by Chinese scholars that the tea emerged before 16th Ming dynasty. Exactly how it happened is now shrouded in the mists of history. I present below 3 popular explanations on why it is known as the Black Dragon tea. Chinese tea is a luxury good. The best teas are often tribute tea - tea that was cultivated and processed for the consumption of emperors. According to the "tribute tea" theory, oolong tea was invented at around 10th century in Northern Song dynasty. The Song emperors were renowned for their many artistic pursuits, including tea drinking, often at the expense of governance. They set up the imperial tea garden of Beiyuan in Fujian Province. The tea garden has an important place in Chinese tea history - it existed for as long as 458 years. The Beiyuan tribute tea consists of two families of tea: the Dragon and Phoenix. The tea garden was famous in producing the Dragon-Phoenix Tea Cake (Longfong Tuancha). 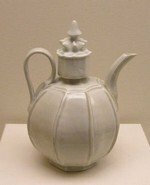 Tea cake went out of fashion in Ming dynasty as the emperors turned towards loose tea. So Beiyuan switched production. Their loose tea was glossy and dark - it was called Black Dragon tea. According to the "Wuyi" theory, oolong tea was first invented in the Wuyi Mountain of Fujian Province in 16th century Ming dynasty. The earliest records of oolong tea can be traced back to two literary sources, both published in Qing dynasty (1644 to 1911). 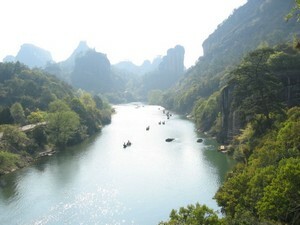 The tea is named after a part of Wuyi Mountain where it was produced. Anxi is a county in the Fujian Province of China. It is renowned for producing the Iron Goddess (Tieguanyin) oolong tea. The plant is called Wulong because the person who discovered it is called Sulong. Misinterpretation in local dialects caused Sulong to become Wulong. It is not as incredulous as it may sound. Wulong is an important oolong tea plant with big leaves of up to 10 centimeters long. It has 10 to 20 sub-varieties. 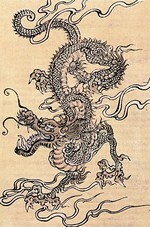 Another popular variation of "Anxi" theory is about a hunter called Dragon. He was dark-skinned and was nicknamed Black Dragon. When he was hunting one day, he left tea to ferment in his bag for too long. His running after a beast bruised the leaves and caused them to oxidise. The tea was found to be very fragrant. People decided to name it after him as remembrance for his accidental discovery.